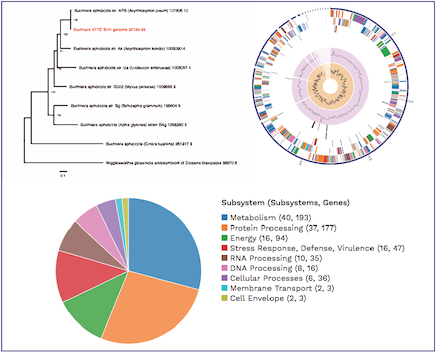 PATRIC’s new Comprehensive Genome Analysis Service provides a streamlined automated workflow that accepts raw reads and then performs a comprehensive analysis including assembly, annotation, identification of nearest neighbors, building a phylogenetic tree, and a basic comparative analysis that includes a subsystem summary. The service also indicates genome quality and provides quality statistics. We will provide a webinar demonstrating this new service on August 8th at 2pm ET. Please email rwattam@vt.edu if you plan to attend so that we will know approximately how many participants to expect.